A lively lunchtime meeting of Palisade’s Tourism Advisory Board (TAB) was held on Tuesday, March 13 in the community meeting room at 341 W. 7th Street. In addition to the agenda items, each board member came armed with exciting information on their own particular area of interest. Bridgett Gutierrez of Cranium 360 gave board members an update on the 2018 marketing plans for Town events and festivals while also fielding suggestions on changes or updates as members discussed the ideas. While brainstorming on updates for particular pages on the tourism website (visitpalisade.com), members talked over the budget numbers that had been presented by Michelle Gossage of the Town of Palisade. With a $9,000+ budget carryover from 2017, some updates of a slightly more expensive nature can be undertaken, such as much-needed photo shoots for high-quality, high resolution photos to be used in print and online advertising. Mountain biking and wine tasting were mentioned as candidates for updating of their photo libraries, and also a video shoot of the Fruit & Wine Byway. Bridgett also summarized the various advertisements that have appeared this year so far in publications such as the 5280 Travel Guide, Vacationland, and Devour, Utah! There was some discussion of filming a video using drone technology after a suggestion by new Board member Keith Ehlers of the new Palisade Basecamp RV Resort. He proposed using a drone to do a flyover of the entire Palisade area in kind of an ‘Aerial America’ format, showcasing the town’s many attractions and businesses. Although it is a popular idea, it is probably a larger project than the Board and Cranium 360 can take on at this time. Gutierrez has also worked up a series of email ‘blasts;’ called “What’s New in Palisade” and mentioned that the latest version included updates on the Cameo Sport Shooting Complex, Palisade Basecamp RV Resort, The Palisade Cafe Winemakers dinners, and the Palisade Bluegrass and Roots festival which will be celebrating their 10th anniversary this summer. Juliann Adams, executive director of the Palisade Chamber of Commerce, spoke about the experiences at the recent Outdoor Recreation trade show that she attended with a group from the western slope. Adams and Rondo Beucheler of Rapid Creek Cycles, were Palisade’s representatives at the Denver show, and although they had some success as part of the western slope group, they learned that they would do better next time if they narrowed their group to just Grand Valley businesses, not the entire western slope. Adams also announced the partnership of Golden Gate Petroleum, builders of the new gas station at Exit 42 with the Chamber as sponsors of the 50th annual Peach Fest this August. With this year’s theme being “125 years of Peaches, 50 years of Festival”, Golden Gate plans to sponsor a band as well as fireworks for the Friday night kickoff of the festival weekend. Jean Tally gave a progress report on the construction at the Wine Country Inn to expand the ballroom, Caroline’s Restaurant and kitchen at the eastern end of the current facility. 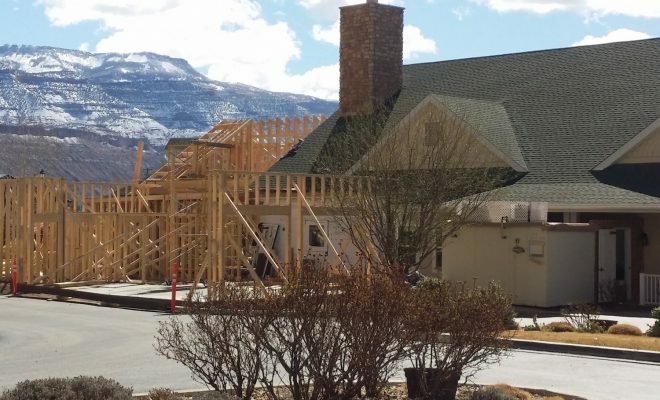 They hope to have the ballroom finished in time for Edesia, a Culinary, Wine and Spirits Adventure, on April 8, with the restaurant and kitchen finished in time for the hotel’s 10th anniversary on August 1 of this year. Tally also announced plans for the expansion of the Wine Country Inn property to the west to include new vineyards with the eventual construction of a winery and tasting room. Edesia will be followed closely by the Honeybee Festival the next weekend, April 13 – 14, in downtown Palisade. Focusing more on education this year, there will be a presentation on European beekeeping techniques that report some success dealing with the colony collapse disorder striking honeybees worldwide. Cassidee Shull, executive director of C.A.V.E., announced that this year’s Mountain Wine Festival in September has already sold out of all V.I.P. tickets, earlier than ever before. Talbott’s will be opening a new tap and tasting room with a remodel of the current farm stand on east Orchard Mesa around the first of June. A new cider flavor will be introduced along with a couple of new house wines. The Palisade Cafe 11.0 is wrapping up their second winter season of Winemaker’s Dinners and will be expanding their paella offerings this summer according to owner John Sabal. Although the Powderhorn Ski Area has wanted for more snowpack this year, they have also introduced a $259 season pass for 2018-2019 that is good for the last few weeks of this spring. Hoping to expand their market share and get more families into skiing and snowboarding, the ski area is also planning a number of events over the summer and fall. Advance bookings for weekend lodging are way up this year for Felix Iovanni and the Vistas and Vineyards Bed and Breakfast just outside Palisade town limits. Felix is a voluntary participant in the Palisade Lodging Fee program. TAB members engaged in a short discussion on making sure that the new short-term vacation rental houses in Palisade are actually paying the Lodging Fee along with the Wine Country Inn and the Palisade Basecamp RV Resort. 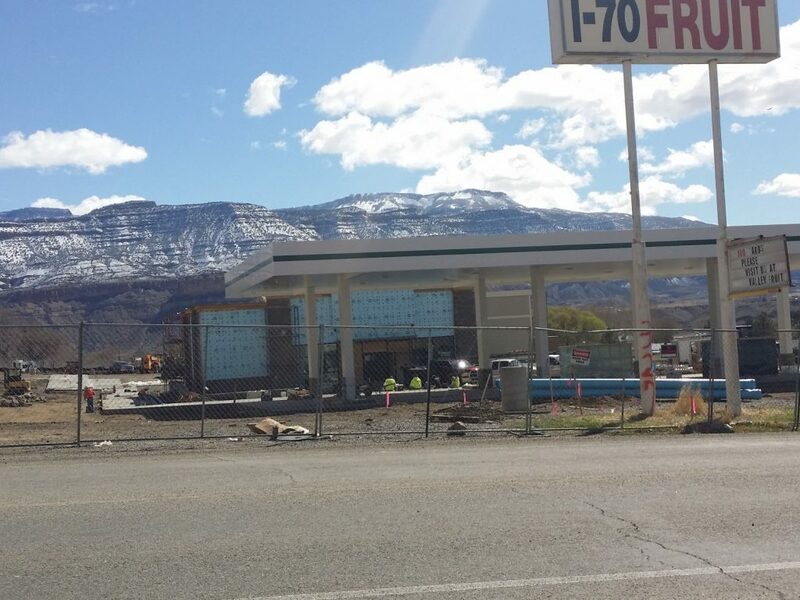 Since the Lodging Fee is the main source of marketing funds for the Town of Palisade, it is important that all lodging providers actually participate in collecting the fee. The first weekend in May will see the return of the “Brews and Cruise” festival with over 30 craft breweries signed up so far. The Grand Valley Marathon will also be held in the Palisade area the same weekend. Mayor Roger Granat showed photos of the heavy equipment beginning to ‘push some dirt around’ on the site of the new Cameo Sport Shooting complex. Construction has finally begun on the long awaited project and will include various indoor and outdoor shooting ranges as well as limited indoor space for Hunter Education classes and shooting instruction. Attending the March TAB meeting were board members Roger Granat (ex-officio), Felix Iovanni, Rondo Beucheler, John Sabal, Juliann Adams, Charles Talbott, Keith Ehlers, Jean Tally, Jessica Bonds, Cassidee Shull and Ryan Robinson. The next meeting of the Tourism Advisory Board will be May 8 at noon in the meeting room at 341 W. 7th Street.